We need your votes for World Debate Club! 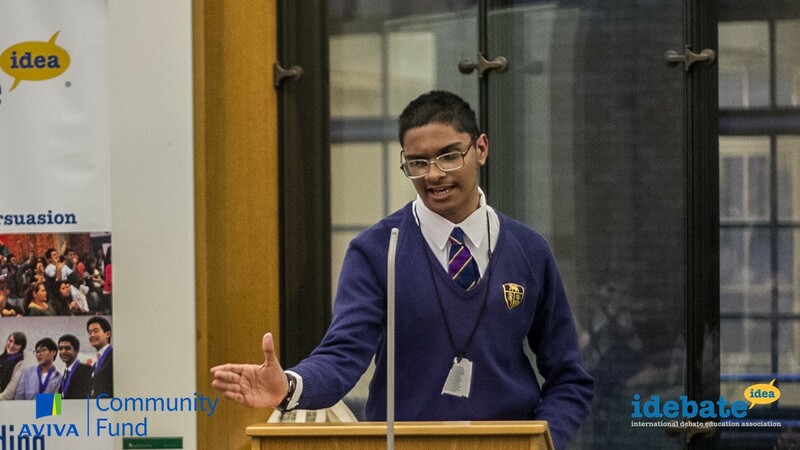 We need you to vote to vote for World Debate Club in the annual Aviva Community Fund competiiton this year. If you do we could win upto £10k of funding to support four World Debate Club projects in London! The Aviva Community Fund provides funding to charities and community projects and decides in part by a public vote that lasts until the 21st November. And this is where you come in. It is open to everyone, not just Aviva customers. And we have submitted our World Debate Club so you can vote for it. What is this World Debate Club anyway? World Debate Club is a weekly programme for FE Students that runs every Wednesday during enrichment for 1-2hrs. IDEA Fellows lead the discussion and debate of diverse Human Rights topics from local Community Issues to International Politics to Sexism and Gender Identity. Our outcomes include improved social mobility and an increased awareness of Human Rights. Why should I vote for it? If you are here it is a pretty safe bet that you have an interest in or even love of Debate! What better way to bring that passion to others than through debate clubs? Help marginalised young people develop the skills they need for the future. Promote tolerance and understanding between cultures, and a love of democracy. Support an innovative programme that combines debating with online video debates. And most importantly it does not cost you anything! I’m convinced, what do I need to do? Go to https://www.avivacommunityfund.co.uk/voting/project/view/17-1278. Register – it will ask you for a few details; Name, password, email. You then confirm your email by clicking on the link they have sent. Go back to the link log in. Then Vote! Ideally giving us all 10 of your ‘votes’! So please take a minute of your time to vote for the World Debate Club.